Together again for the first time, here come the greatest comic book superheroes ever assembled between two covers: down from the heavens - Superman and the Mighty Thor - or swinging over rooftops - the Batman and Spider-Man; star-spangled, like Captain America and Wonder Woman, or clad in darkness, like the Shadow and Spawn; facing down super-villains on their own, like the Flash and the Punisher or gathered together in a team of champions, like the Avengers and the X-Men! 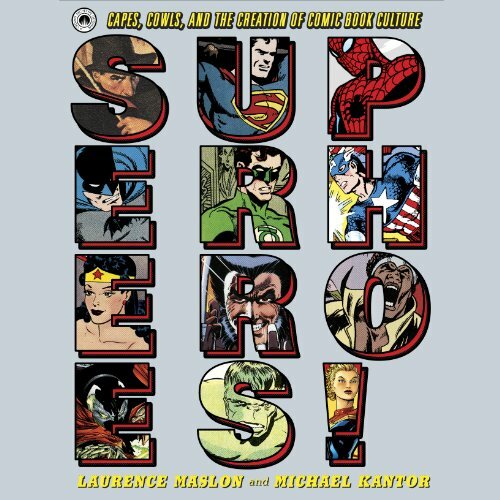 Based on the three-part PBS documentary series Superheroes, this companion volume chronicles the never-ending battle of the comic book industry, its greatest creators, and its greatest creations. Covering the effect of superheroes on American culture - in print, on film and television, and in digital media - and the effect of American culture on its superheroes, Superheroes: Capes, Cowls, and the Creation of Comic Book Culture appeals to readers of all ages, from the casual observer of the phenomenon to the most exacting fan of the genre. Drawing from more than 50 new interviews conducted expressly for Superheroes! 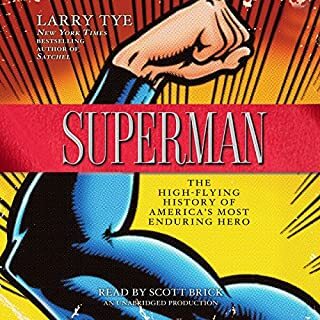 - creators from Stan Lee to Grant Morrison, commentators from Michael Chabon to Jules Feiffer, actors from Adam West to Lynda Carter, and filmmakers such as Zach Snyder - this is an up-to-the-minute narrative history of the superhero, from the comic strip adventurers of the Great Depression, up to the blockbuster CGI movie superstars of the 21st Century. Featuring more than 500 full-color comic book panels, covers, sketches, photographs of both essential and rare artwork, Superheroes is the definitive story of this powerful presence in pop culture. BONUS FEATURE: Exclusive first-hand commentary from some of the greatest creators in comic book history, from Golden Age artists and writers (Carmine Infantino, Joe Kubert, Stan Lee) to the superstars of the Silver Age (Neal Adams, Jim Steranko, Denny O'Neil)--all the way up to the movers and shakers of the 21st Century (Todd McFarlane, Joe Quesada); plus luminaries such as Adam West, Jules Feiffer and Michael Chabon. 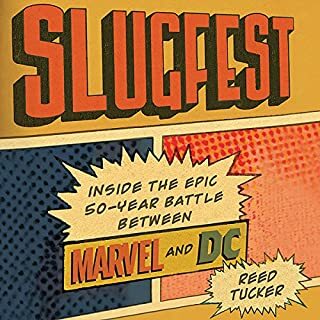 This book is a great primer on superhero comics, beginning with early 20th century comic strips, like Little Nemo in Slumberland and Popeye, and pulp fiction to the bumper crop of 21st century superhero mivies. If you are into indie comics (or comix), this ain't the book for you. If you know everything there is about comics history, this ain't for you either. But if you want to know how Superman emerged out of the Great Depression and the origin stories of DC and Marvel as well as their big -name characters, this is the title for your spinner rack. The authors tackle the history chronologically. You get background on major players--Stan Lee, Jack Kirby et al--and influential series. The 1986 appearance of The Dark Knight by Frank Miller and Watchmen by Alan Moore gets coverage, so too the creative brain drain to Image Comics. 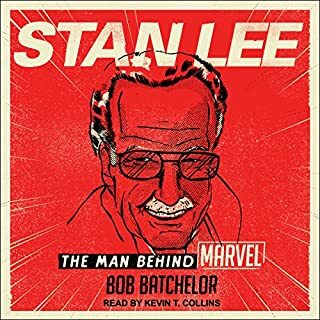 One of the best features of this audiobook is the use of actual interview audio with comics creators and fanboy-historians: Stan Lee, Grant Morrison, Michael Chabon and several others. You may want to check out the companion film documentary, which is essentially an abridgement of this with visuals. The author does a nice job of narrating his book. My spouse and I listened to this book on vacation, in the car as we drove to our destination, at our destination and back in the car on the way home. We enjoyed it greatly because we both love comic books. This audiobook makes use of recorded interviews so for some parts you get the interviewees' own voices, making it almost like a documentary. We really appreciated this. The book covers the origins of characters known and little known and also gets into the real world business part of the comic industry. It seemed a little MARVEL heavy as opposed to DC, but explained, though the history of those enterprises why they are so different and why somethings don't get produced. The book also gets into some industry nitty gritty that explained some quirks about comic book 'cannon' that I'd never given much thought to. I am better for having listened to this book and it helped me look at the comics I love differently with a different level of appreciation. Companion books for PBS documentaries are often utilized more as decorative pieces for a coffee table rather than books to be read cover-to-cover. I remember a friend whose parents had the companion book for Ken Burns' The Civil War and thumbing through it when I was in high school. It was a beautiful book with great pictures but I don't think I ever read an entire page of the text. I'm glad I took the plunge with this companion book. Maslon and Kantor have done a great job presenting a concise overview of the history of comics publishing in the United States. Both informative and entertaining, the book tells the story of superhero comics from their antecedents in the pulps of the early 1930's all the way through the current DC and Marvel Universes and the creator owned imprints. As some have stated in Amazon reviews, there are a few discrepancies concerning the exact dates of origin for some creations. And no, it does not delve into all the smaller publishing houses that have produced superhero comics. This really doesn't detract from the book's overall effect though. You can't cover every aspect of the history of superhero comics in 300 pages and that is not what the authors intended to do. For someone with Ph.D. level knowledge of comic history, "Superheroes!" will not offer any information you do not already know. 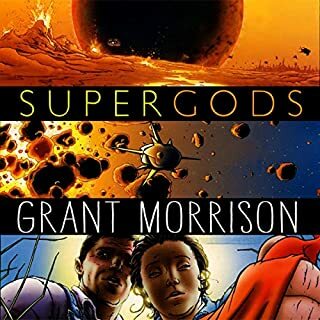 For fans whose experience only stretches as far back as when they began reading comics, and for those with little to no knowledge of comic books at all though, it provides a great overview in an entertaining fashion that will hopefully spark further investigation of this thoroughly fascinating literary form. 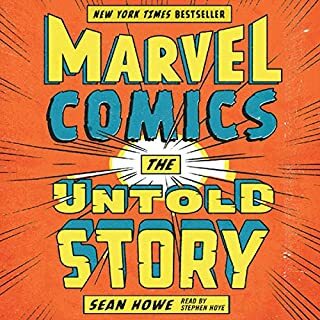 Whether you are interested in comics, modern myth, popular culture, or the innate desire to be something more, this concise history and snapshot of the graphic literature phenomenon is for you! Good beginning. Derailed in the last third. The beginning of this novel is a great historical document. Nothing that hasn't been covered before in books like The 10 Cent Plague, Supergods or Marvel the Untold Story. 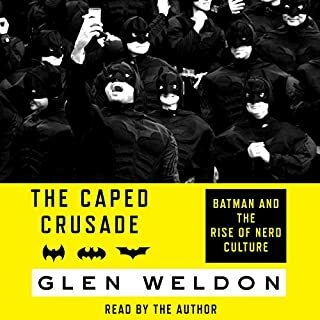 Unfortunately, the last third of the book focuses on the modern age with some major errors, omissions, and ret-conning of history (both current and silver age) with an obvious (and somewhat bitter) feminist promotional agenda. What could Laurence Maslon and Michael Kantor have done to make this a more enjoyable book for you? They could have checked their information more carefully and kept their 90s fanboyism in check. What three words best describe Laurence Maslon’s performance? Did Superheroes! inspire you to do anything? It inspired me to avoid any more books by Laurence Maslon. Enjoy the first two thirds. It's a fairly concise condensed version of previously published, superior works. Great, robust history of comics. The narration was great and the interspersed interview dialogue was a nice surprise. This is just a great look into the history of comic books and everything that helped shape them. There is great incite into the people that created some of the most recognizable characters in entertainment's past and present. It's a good primer on comics' history and its future. A solid foundation that doesn't overwhelm readers. if you love comic book history this is for you. this is a great overview of comic book history. if you love comics you will enjoy this book. A+! I have been reading comics since the early 1960’s and was then a DC fan. I am now more into the Marvel storylines but in my late 50’s still enjoy the superhero genre and comics in general so I was keen to read this book. I got this as a present when it was first published and it has been sitting by my bed to read for some years. I read a lot and also download to Audible comic book related stuff. I must of read 10-20 books on comics, Marvel company, DC Universe and such like. However, this has to be the best written and most enjoyable book I have read. It seems to have a slight Marvel bias but that didn’t spoil it for me. Well written, excellently researched and for the first time in ages I learnt stuff that I had never read or heard of before. Its written in chronological order which it needed to be and covers the early genre from the comics in the newspapers, the Funnies as the American refers to them, right up to the film releases of 2012 of the Avengers and the Dark Knight from Marvel and Dc respectively. I have both the book and the Audible download and whilst both cover the entire book the Audible has the interviews by the writers which is an added dimension and I would recommend having both the book and the download. The book does take a different slant on some member of the comics industry. For example read Marvel Comics - The Untold Story and Stan Lee takes a pasting. Here he comes out as the real saviour of Marvel and the instigator into the spin off movies etc. Good to get a different view of Stan in my eyes. After reading the book I found that I had a new inspired interest in comics and the book refers to a number of classic stories which soon after the reference had me looking on eBay for a reading copy (No way will I pay top dollar for pristine copies I just want to read and share). All in all, in my opinion, this is the best book on the genre I have ever read and I am starting again from the beginning of the book as I am sure I will enjoy it as much as I did first time or from hearing the Audible version. Great mix of social history, the lives of main creators and review of the landmark stories/characters. Perfect "what really happened" book for people who loved Chabon's Kavalier & Clay and a good primer for those planning to jump into Grant Morrison's Supergods or Gerard Jones's Men of Tomorrow both of which are fantastic books which delve a little deeper into the darker corners of the history of the comic business.